Some professional basketball players wear different makes and styles of shoes during the same game/practice. Minimalist running shoes can reduce lower extremity injuries if the runner is a mid – forefoot striker and takes enough time to condition to this type of striking. In some instances, wearing “high tech” athletic shoes with a great deal of cushioning can cause more injuries than a less cushioned shoe. Athletic shoe sales have grown steadily and grossed greater than 17 billion dollars in sales in 2016. Seek the advice and treatment of a Physical Therapist if you want to know what shoe is proper for you during a particular activity. Over the last several decades, the design of shoes has changed. Style plays a role, but also performance. More and more custom shoes have been developed for specific activities or sports. Today manufacturers claim that the make and style of a particular shoe can reduce injuries. They claim that the shoe can be designed in a way that will support the foot, control motion of the entire lower extremity and absorb the shock that occurs when the foot hits the ground. Fortunately, some of these claims are true, but many of them have never been proven scientifically. Unfortunately, numerous studies attempting to test these claims have proven to be inconclusive in their findings. Shoes are manufactured for specific activities. The characteristics of the shoe are modified to make it better adjusted to handle the stresses and strains of a particular event/sport. The truth of the matter is that many and most shoes are designed for comfort and style and not for the particular event. The stiffness, construction materials, friction and cushioning are supposed to be adjusted per the manufacturer to accommodate the needs of the person participating in a particular event/sport. When athletes and others are questioned about the type or style of the shoe that they choose to wear when they participate in an activity they usually respond by commenting on the comfort and “look” of the shoe. The only people that pay close attention to the “anatomy and function” of the shoe that they wear are the ones that have suffered an injury. These people are usually counseled by a healthcare professional to purchase and wear a shoe that will help to alleviate the symptoms associated with their injury. In some cases, the correct shoe can help the healing process by reducing the stress and strain on the injured body part and hopefully prevent them from re-occurring in the future after they have resolved. Basketball shoes have changed drastically in the past 30 years. The “original” converse sneaker was literally a thick piece of rubber and a canvas upper. Today’s shoes incorporate all kinds of materials to increase the stiffness and cushioning. The manufacturing process of a particular shoe should be based on scientific data and research studies, but that is not always the case. Certain running shoes are made with very little substance to the sole and are designed to be used by a particular type of runner. These shoes should be worn by someone that runs and “strikes” the ground with the mid or forefoot. If these shoes are worn by “heel” strikers, they can cause injuries to runner’s lower extremities. These shoes are often times worn to walk around and a person that over-pronates might have an increase in lower extremity or low back pain secondary to the lack of support provided by the shoe. Most shoes are chosen to be worn based on the way they look or feel. 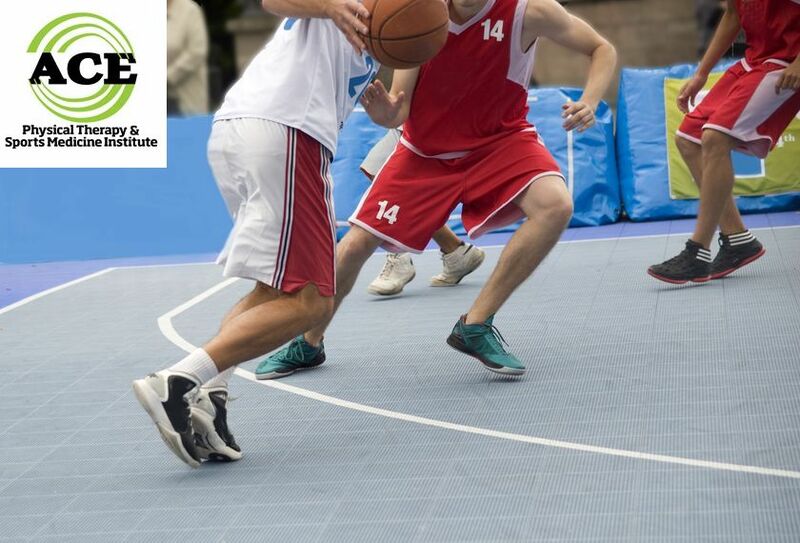 Several studies did reveal an increase in ankle injuries when certain shoes with air cells were worn to play basketball. These subjects of these studies were recreational players and their shoes were usually 1 year old or older. The air cell was incorporated in shoes to reduce the impact force but if the cell is deflated with age, it might cause more instability in the shoe. Injuries occur every day regardless of the shoe wear of athletes and participants in particular events that require someone to be weight bearing and moving. Many of these injuries could be prevented if a trained healthcare professional was involved in the process of choosing a proper shoe style and make for an activity. Physical Therapists are well trained in lower body mechanics and function and can help determine what kind of shoe should be worn by an individual. The Physical Therapist will evaluate the patient’s lower extremity anatomy, flexibility, strength, gait, running/striking pattern and help them decide which style of shoe is best for their activity. The Physical Therapist can help to treat any injuries that might have occurred while wearing the improper shoe for a particular event. Every shoe is manufactured with a purpose in mind. If the shoe is worn solely for that purpose and not worn until it “wears out,” there is a possibility that it can help to prevent injuries. Don’t ever wear a shoe because it “looks good” or is “comfortable” unless that shoe is designed to be worn for your activity.